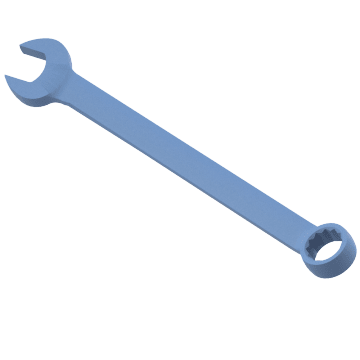 These two-in-one tools let you quickly switch between an open-end wrench on one end of the tool and a box wrench, spline wrench, or socket wrench on the other end, unless noted. 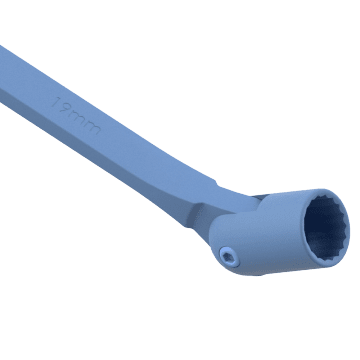 The box, spline, or socket wrench provides better torque and less risk of slippage than the open-end wrench; the open-end wrench can approach the fastener from the top or side, which is useful in obstructed areas. 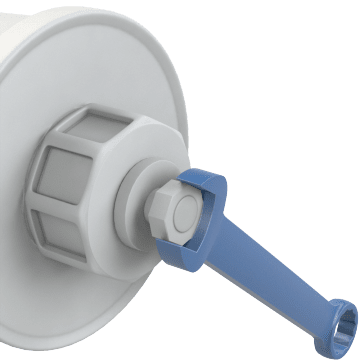 Each head fits a specific size of fastener, and both heads are usually suited for fasteners of the same size. The box, spline, or socket wrench may tilt or be set at an angle to the handle for better access to hard-to-reach fasteners. The inside edge of the box, spline, or socket wrench will have multiple points. 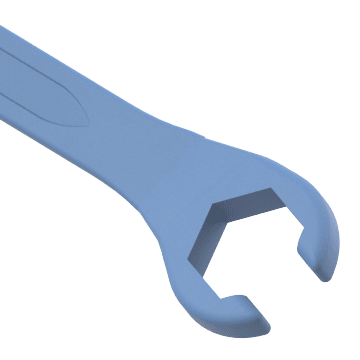 6-point box wrenches make contact with all sides of a hexagonal fastener, reducing the risk of stripping or rounding the fastener when turning it. 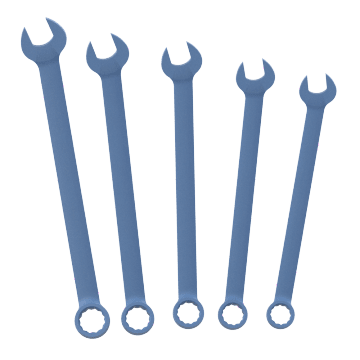 12-point box wrenches can be repositioned with a smaller movement of the handle than a 6-point wrench, which is useful when working in tight spaces. A good choice for a range of everyday applications, these combination wrenches will get the job done. 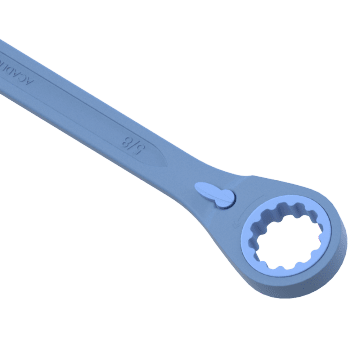 A ratcheting mechanism in the box end head allows these combination wrenches to turn nuts or bolts without requiring the tool to be repositioned between turns, letting the operator work more quickly than with a non-ratcheting wrench. The box end of these combination wrenches is hinged and can bend at an angle to the tool body to provide access to hard-to-reach fasteners. 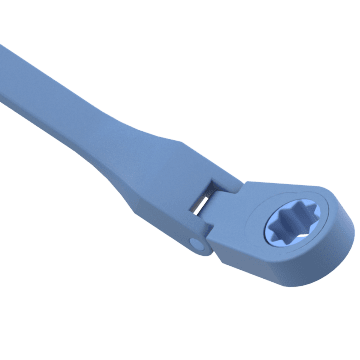 These combination wrenches include a socket end that pivots for access in tight places. 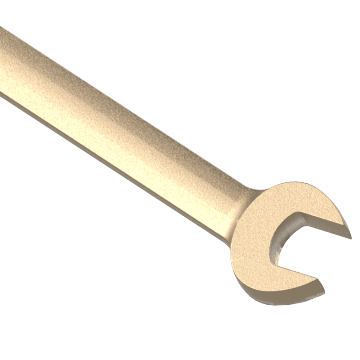 Made from nonferrous materials, these combination wrenches help minimize the risk of a spark being generated while using the tool. Nonsparking tools are useful in environments that contain flammable solvents, liquids, vapors, dusts, or residues. OSHA has developed best practices guidelines for certain chemicals and processes that include choosing nonsparking tools. Containing multiple combination wrenches in a variety of sizes, these sets provide a range of options for turning fasteners in any application you encounter.